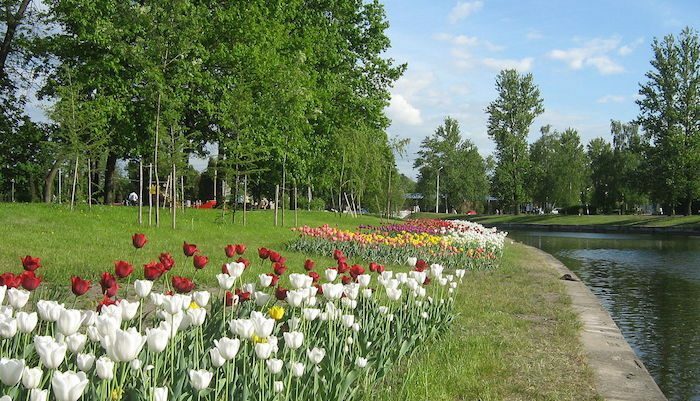 Kolpino and Kolpinskiy Parks are a pleasant spot for running on the Chukhonka peninsula, where it juts into Reka Izhora. There are pleasant paths making for a 2.5 km loop around the two small islands. It is located in the southern part of the city, and accessible by bus. The best way to access the park is from the north, near Holy Trinity Cathedral. From there, follow Ulitsa Volodarskogo south until you reach a left turn. This will carry you over the bridge to the north end of the island. From there, you can run a 2-lap figure eight on the park’s gravel paths for about 5 km. Our route follows that of the Parkrun series. Sosnovka also hosts Parkrun, a free group 5k every Saturday. You can see the race course and learn more here.